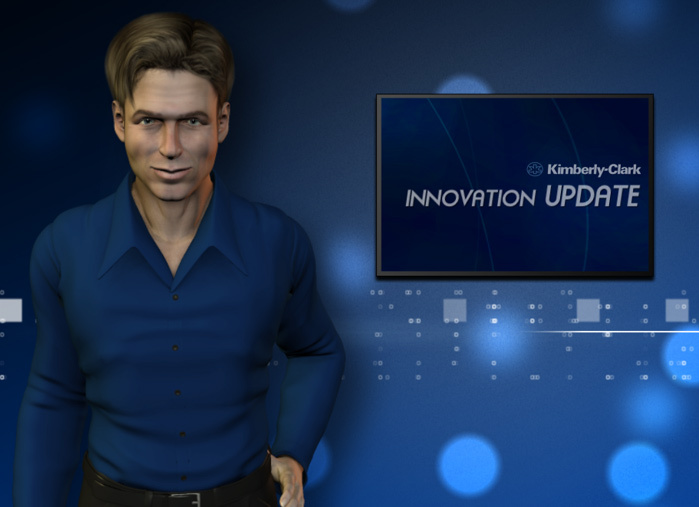 Kimberly-Clark produces many well known consumer products but their Employer Value Proposition had far less recognition and clarity in the candidate market. eBrands worked with the business to develop an EVP which was based around high levels of innovation that the business manages to generate through its supportive cultural environment. The process that we undertook engaged the whole business, so much so infact that the EVP strategy we developed was adopted as the organisation’s brand positioning line “innovative ideas by caring people”. 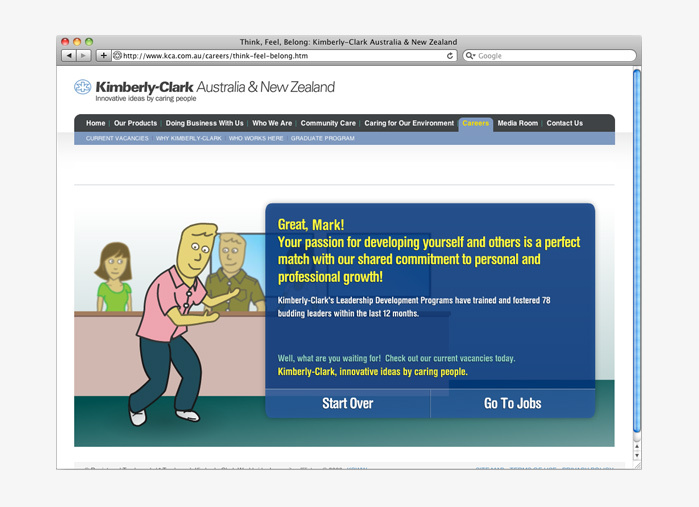 The Employer Brand roll out included internal communications to increase internal stakeholder engagement, career portal design (including applicant tracking system integration), recruitment marketing material and a high innovative animated character called ‘Mike’ that reported on innovation stories from around the business in video format.